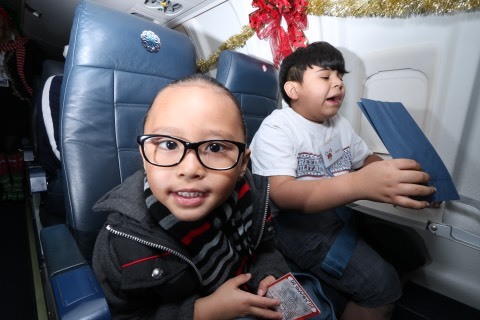 Few things bring as much awe and wonder to children as flying in an airplane. Throw in a flight to the “North Pole” and you have a night of magic and fantasy. 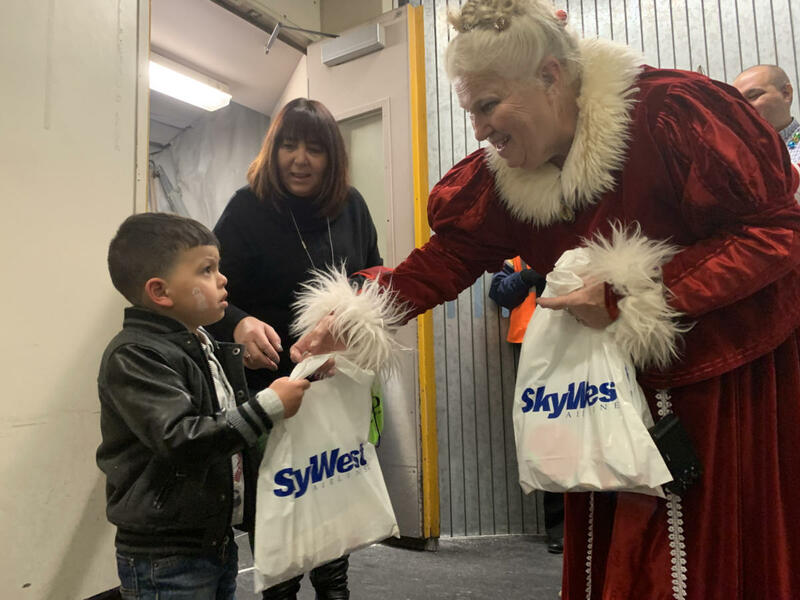 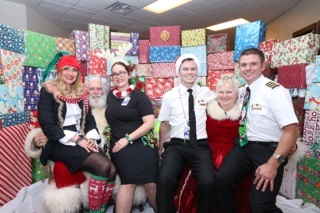 For the 12th straight year, the SkyWest team helped bring the true spirit of the holiday season to children in Colorado Springs with the annual Fantasy Flight to the North Pole. 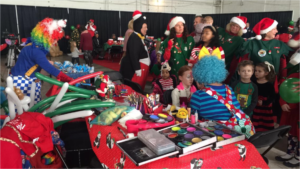 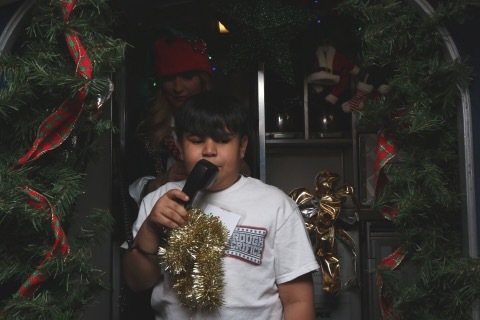 The event provides the magic of Christmas to underprivileged children and their families. 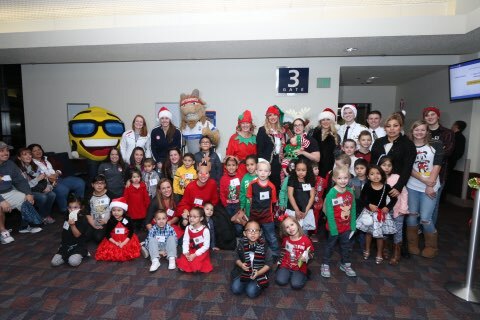 Together with the Junior League of Colorado Springs (JLCS) and CPCD…giving children a head start, SkyWest welcomed more than 30 children and their families to the Colorado Springs Airport to enjoy a day full of joy and laughter. 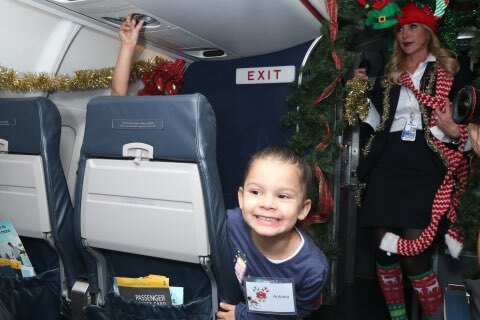 Those in attendance were able to participate in a number of activities, including ornament making, face painting, corn hole, dinner, playing with the Go Team Therapy Crisis Airport Dogs, visiting with local Olympians and of course, flying on a CRJ700 to the North Pole. 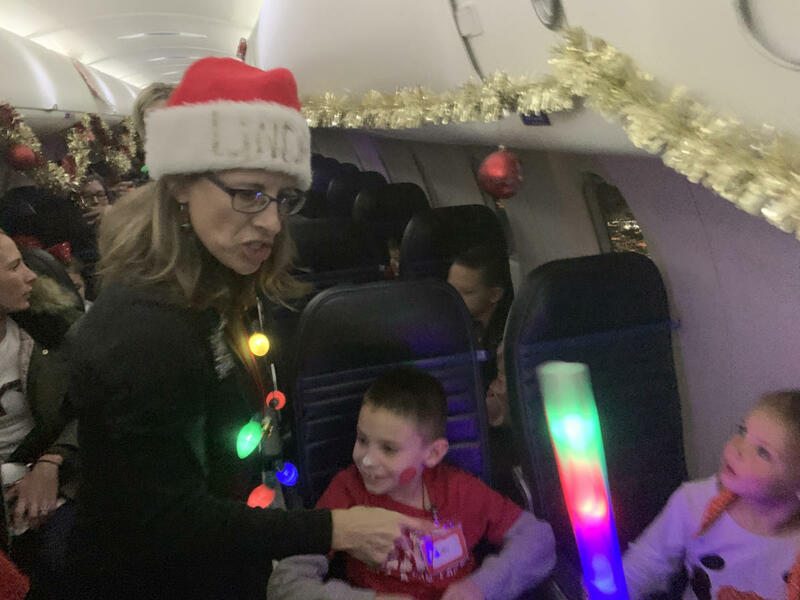 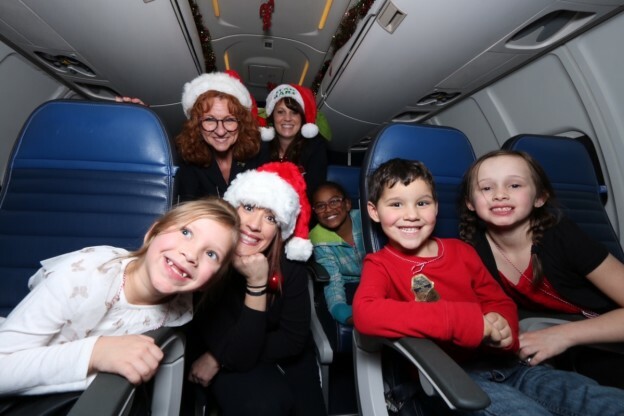 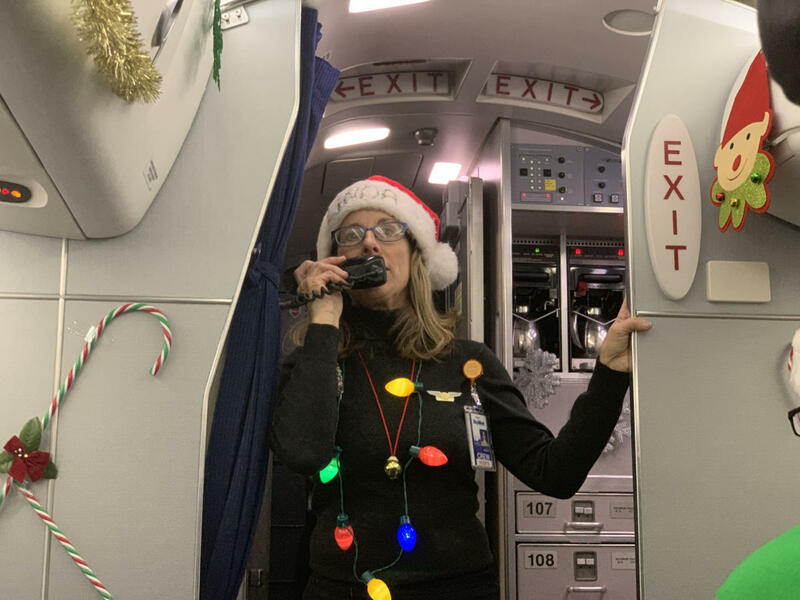 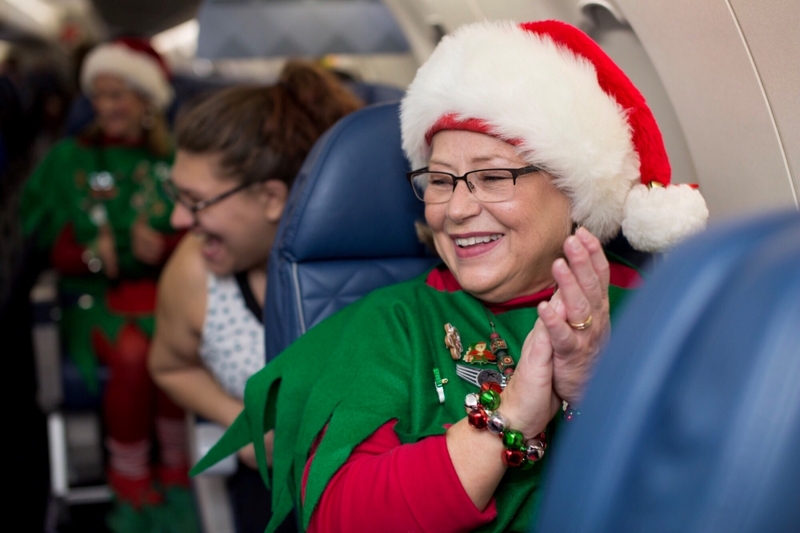 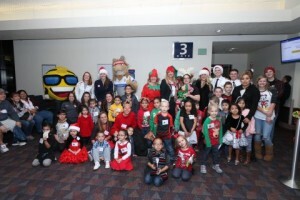 While in the air, SkyWest flight attendants Linda Kracht, Nayomie Burns and Charlene Theobald joined in games and carols with the kids, singing their way across the night sky. 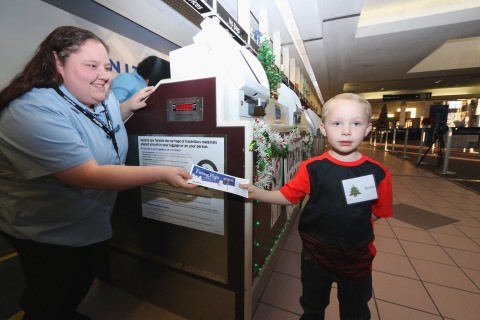 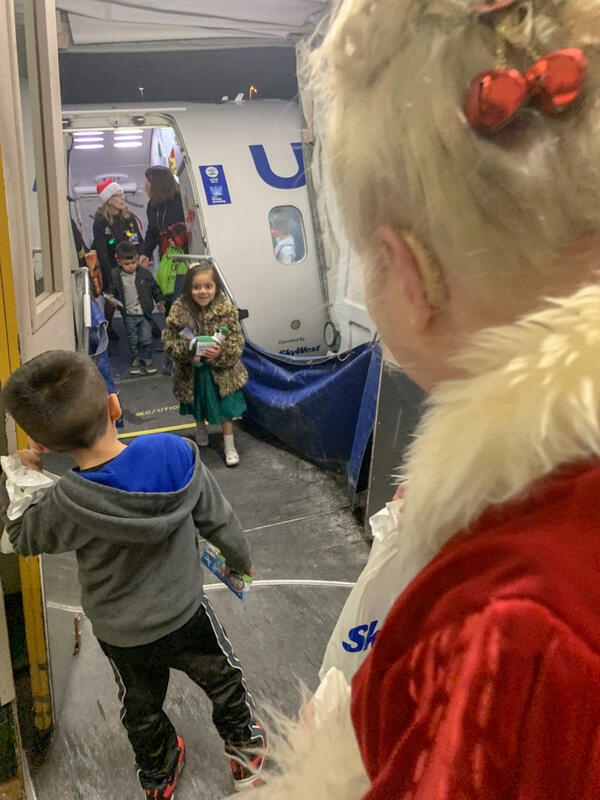 Upon arrival at the North Pole, the children were greeted by Santa and Mrs. Claus and together made their way up the jet bridge to the fully decorated terminal of the Colorado Springs Airport, courtesy of the SkyWest team in COS. 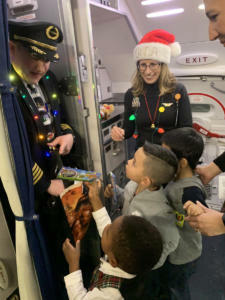 There, the children told the jolly old elf himself what they wanted for Christmas and were surprised with gifts picked out specifically for them! 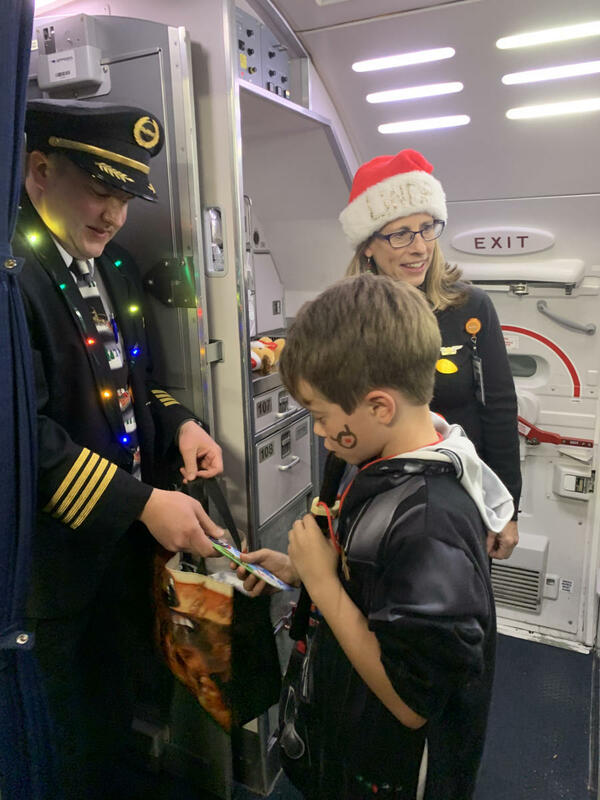 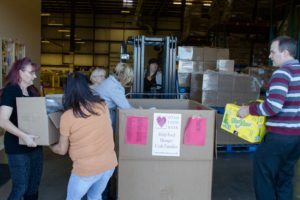 “It makes me feel very fortunate and happy that I’m here at SkyWest and that SkyWest is participating in something that gives back to the community so much,” said COS CRJ Captain Curt Young. 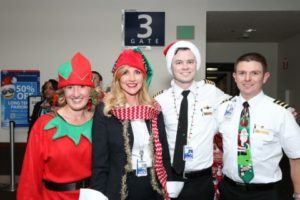 Many thanks to SkyWest General Manager Jamie Young and her team as well as all of those at SkyWest who helped make the event possible through countless hours of coordination and expertise. 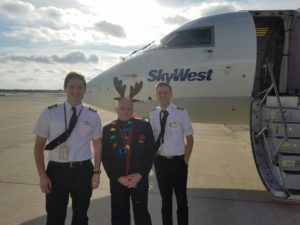 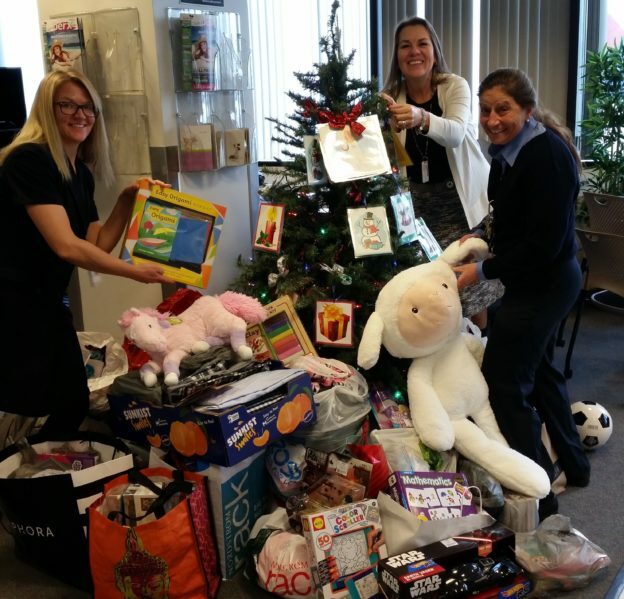 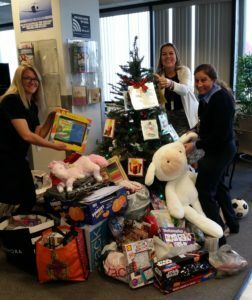 Read more about SkyWest people making a difference here. 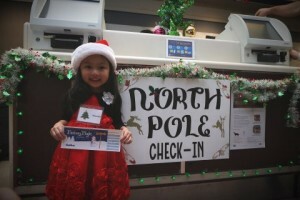 Now Boarding for the North Pole! 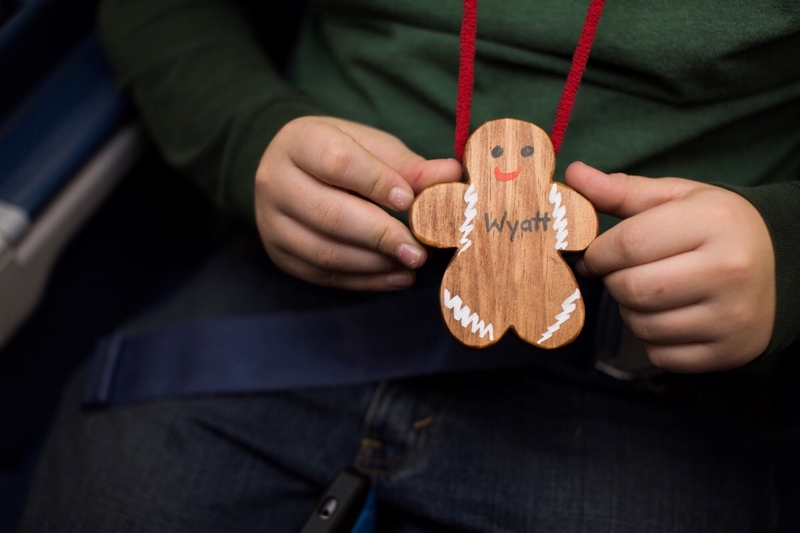 SkyWest’s industry-leading team works together every day of the year to carry more than 30 million passengers to 202 destinations throughout North America. 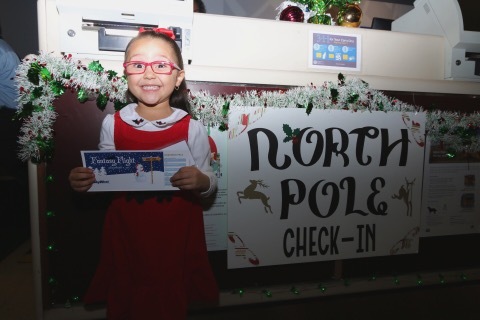 Recently, the SkyWest team had the opportunity to take some very special passengers to a magical destination not found on a SkyWest route map: the North Pole! treasured memories for these children that will last a lifetime. 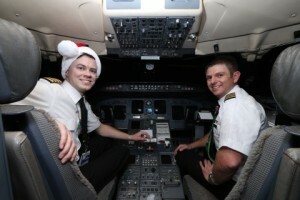 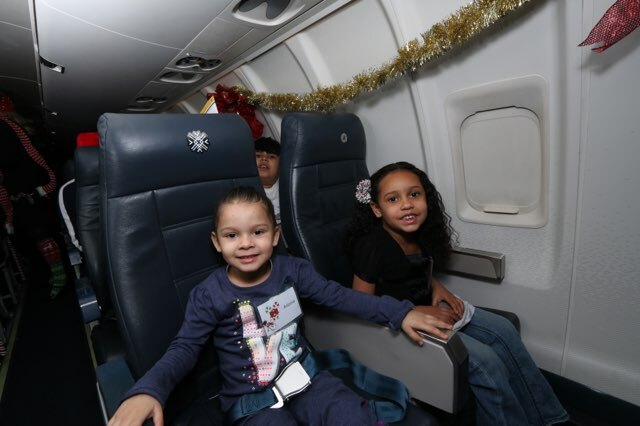 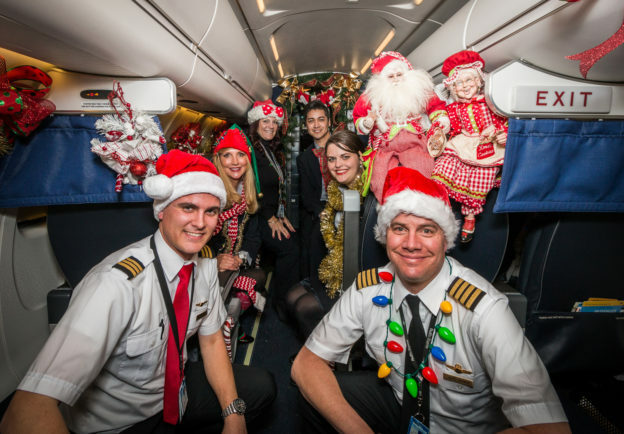 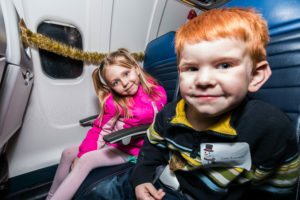 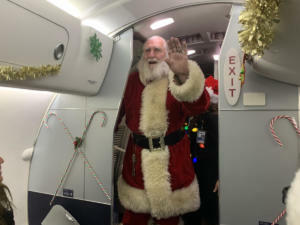 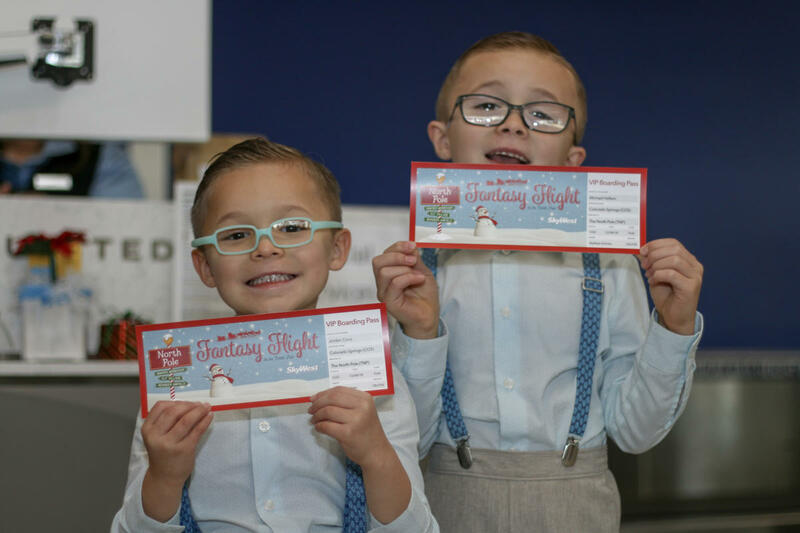 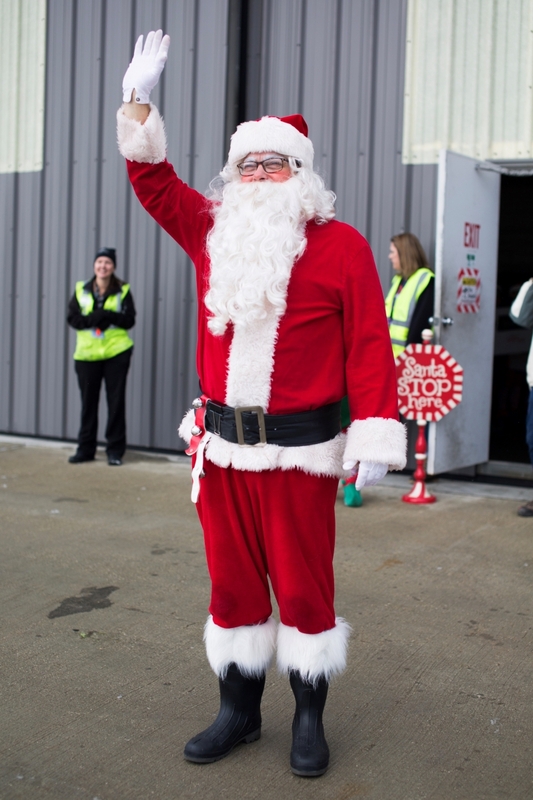 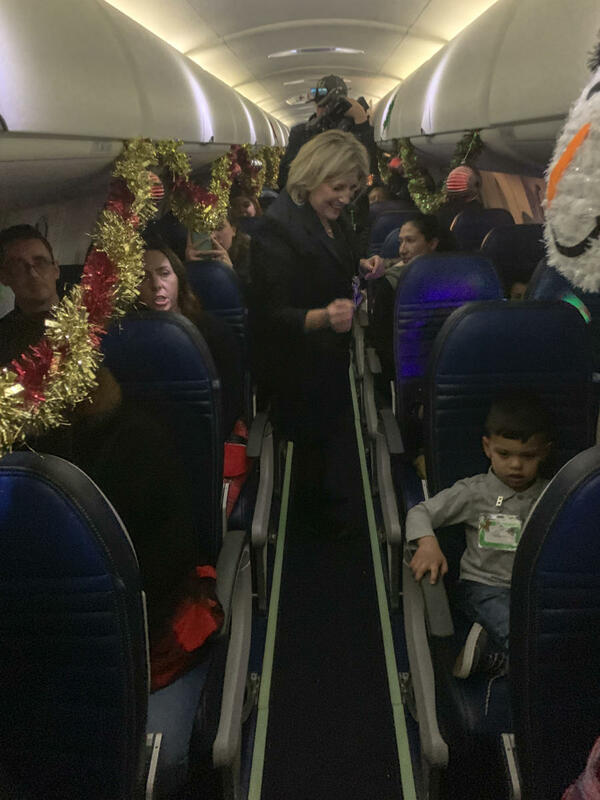 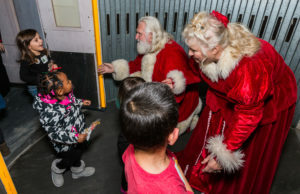 The Flight to the North Pole helped brighten the season for 14 children suffering from serious illness and their families as they boarded two SkyWest CRJ200s and took a 20-minute ride to the “North Pole” (a nearby hangar decked out in holiday style!). While the ride was a short one, it provided much needed smiles and wonderment to all onboard. 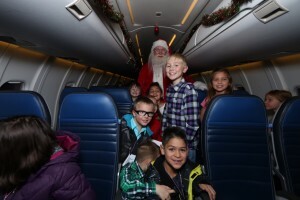 The 10th annual Fantasy Flight in Colorado Springs took 49 eager children to meet Santa Claus at the “North Pole” as well! 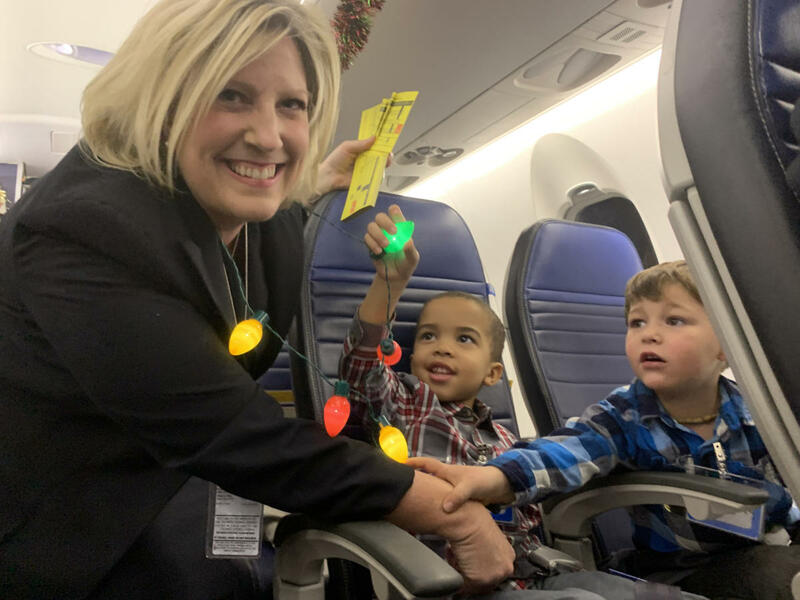 These tiny passengers, many of whom would otherwise receive little to nothing on Christmas morning, filled the CRJ700 with holiday cheer as flight attendants led the children in Christmas carols on their 30-minute journey. 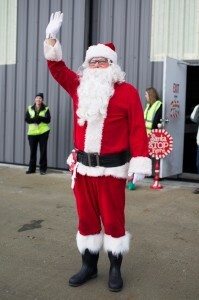 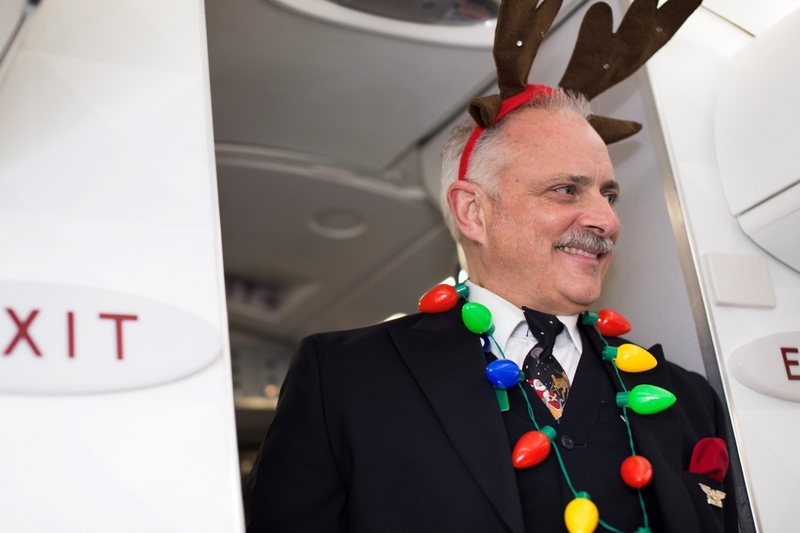 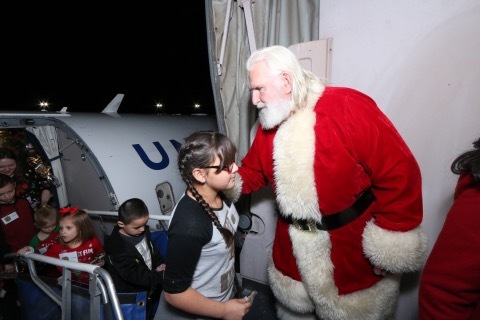 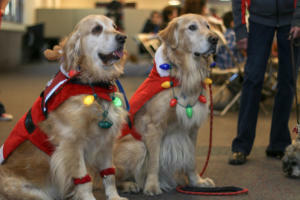 As the families deplaned, they were greeted by mascots, carolers and Santa Claus himself! 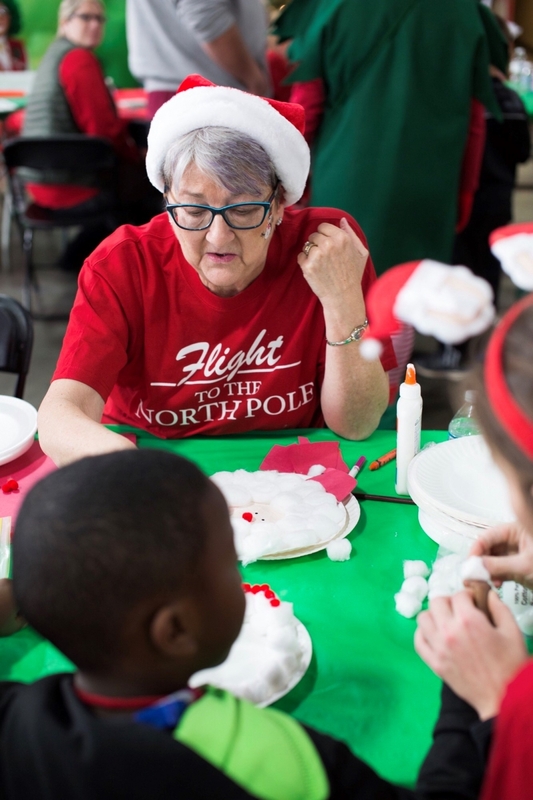 The “North Poles” in both Milwaukee and Colorado Springs were a child’s Christmas dreamland, complete with crafts, games, a Christmas meal and gifts from their wish lists. The goal: to provide happiness and cheer, even if for just one day. 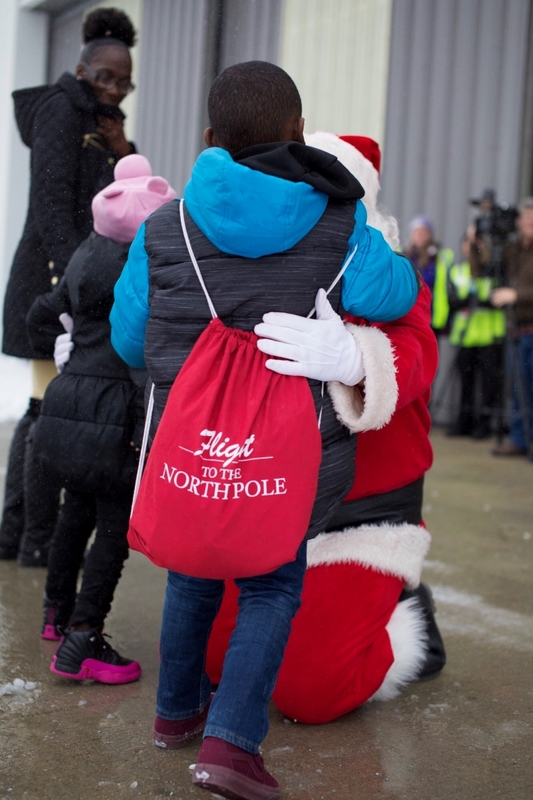 The smiles on the faces of everyone involved proved they did just that. 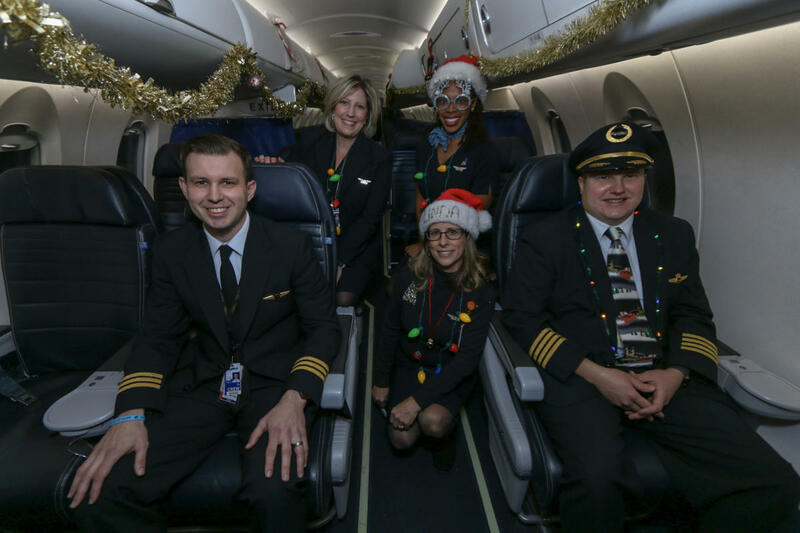 A special thanks to all of our team members, from Maintenance and Customer Service to Flight Ops and InFlight, for their efforts to spread holiday cheer to our special passengers. 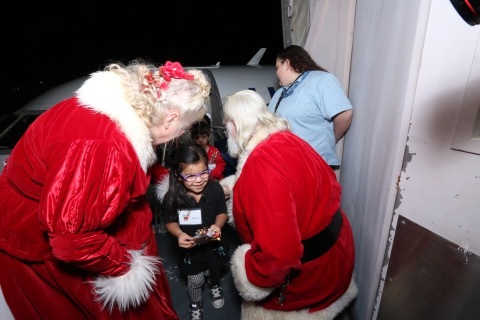 These events are just another way SkyWest people give back to the community and share the miracle of flight with even the smallest of flyers!